Surf Tees for Longboard and Shortboard surfers. Shop Surfing t-hirts and Gifts for Surfers young and old. Fun surf apparel and clothing for surfing fanatics. Surfing Santa Tshirts great Christmas surfer gifts and shirts. Surfboard tshirts and surfer gifts with surf art of surfboards on the beach under the sun. Text playfully reads, Board Meeting. Surfing apparel and gear from Lesruba Designs’ Long Island Nice Tees. 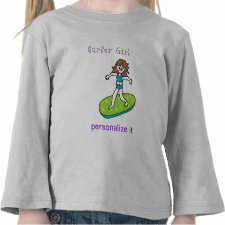 Surfer t-shirts & gifts feature cartoon art of a surfer dude and his surf board heading to the beach. Beach gear for surfers, fun cartoon surf shirts & apparel for boarders. Catch the wave! Surfer tshirts and Surfer Gifts for surfing fanatics who love to surf! Summer Surf Shirts, Hoodies, Surfing Sweatshirts and Surf apparel gifts. Surf shirts and apparel feature faux distressed word Surf in chunky letters filled in with image of surfboard, surfer & sun. Surf themed gifts for anyone who loves to surf and ride the waves. Blue crush surfer tshirts, surf tees, surfing apparel, casual wear for surfers these surf gifts, magnets, surf notebooks, surfer buttons, make great holiday gifts. Surfer tees and tank tops for gals who love surfing. Female surfer gifts, home decor and surfer tote bags. 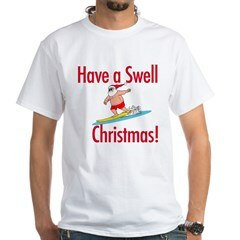 Christmas surfing santa t-shirts, Xmas Santa Surfing Gifts and Holiday Surfer tees, hoodies & gifts are surfer swell! Great christmas gifts for surfers. Surfing gifts for the holidays!